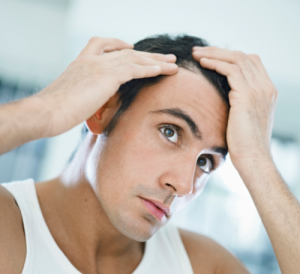 Minoxidil Sulfate is an active metabolite which has been shown in studies to stimulate hair growth. It has been the number one topical therapy for Androgenetic Alopecia (AGA) since receiving FDA clearance in the US in 1988. Formula 82M contains (5%) Minoxidil and Retinoic Acid, along with a 5-alpha reductase inhibitor and topical steroid to improve efficacy and reduce irritation, complimented by other proprietary ingredients that improve the formula’s overall effectiveness, stability and usability. Frequently Asked Questions about Formula 82M answered by one of our provider physicians, Dr. Aaron Shiloh at Shiloh Vein and Aesthetics. If you are an individual, and would like to find a Formula 82M physician partner near you, click here. If you are a doctor interested in information about prescribing 82M, fill out the form below. Are you the owner or operator of a medical spa or office interested in prescribing Formula 82M? If so, fill out this form to receive additional information about how to get started.